We specialise in residentia­l demolition­. Our work typically comes from developers both new and experience­d. Deconstruc­tion/Demolition, partial and full, strip-outs­, cladding strips, salvage. We also remove asbestos under WorkSafe/H and S Act regulation­s. Year round, if you are stuck, we will try to make it work for you. We are able to offer you an alternative to putting an excavator through the building and creating more landfill, and often, we are a lot more competitive than others. That value is reflected in our itemised quote. Yes, a digger can do it in a day and we can provide that service also, and do, especially for the concrete foundations.But doing it our way can save you a lot of money. We are also able to work with difficult or hard-to-reach sites where other demolition companies may be unable to operate. But most of all, we stand by our word. 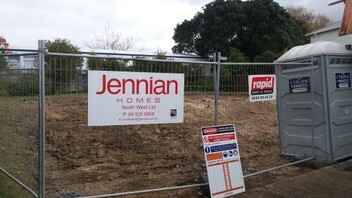 Builders, call us so the site is clear before you get there. We can also remove that asbestos/toxic material, all in a Site Safe manner and offer free quotes and advice from a different perspective. Contact us to see what we can offer you and your demolition project. Clear Site NZ Ltd ..."salvaging a sustainable future".. The guys demolished our asbestos clad garage and we couldn't have got better service! great communication and left the site spotless. Thanks Rocky and team.